It’s all very well doubling the tourism target — to 40 million visitors in 2020 — but where will they stay? Mizuho Research Institute last year forecast a shortage of 10,000 hotel rooms in 2020 if foreign tourists continue to increase in number. But that estimate was based on an assumption of 25 million visitors. The central government has urged municipalities in the metropolitan area as well as in rural areas to ease regulations on building hotels. It will also subsidize efforts to turn old Japanese-style houses and abandoned schools into tourist accommodation. Moreover, to encourage foreign travelers to stay at hotels and inns outside big cities, the government will help to ensure that traditional facilities offer Western-style toilets. When building hotels, municipalities set a cap on floor area ratio at a rate between 200 and 1,300 percent, based on the construction standards law. This regulation has already been eased in central Tokyo and Osaka. But the government plans to ease it in other cities as early as this summer to encourage developers to rebuild existing hotels or construct new ones. The government will also sponsor campaigns to lure tourists to small villages and towns, where they can experience farming and fisheries. The Ministry of Agriculture, Forestry and Fisheries will select about 50 locations nationwide by 2020. Another plan is to fund adaptations at Japanese-style inns to make them more welcoming to foreign tourists. The Japan Tourism Agency will fund half of the costs of replacing Japanese-style toilets with Western ones. It may additionally launch a website in foreign languages. It started accepting applications for this project in March and will select about 1,000 facilities in May. 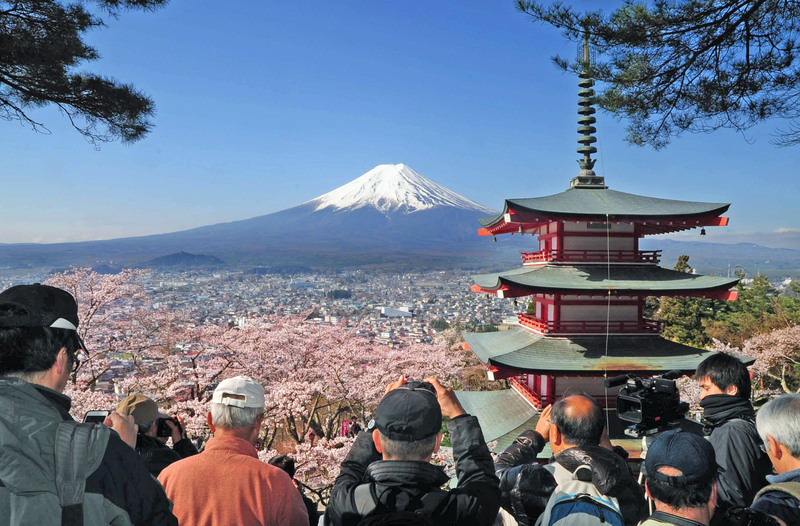 As more foreign tourists come to Japan, it has been increasingly hard to find hotel rooms. According to JTA, the average occupancy rate of hotels and inns nationwide was 60.5 percent in 2015, up from 51.8 percent in 2011. A prefectural breakdown showed that the so-called golden route between Tokyo and Osaka was in heavy use. 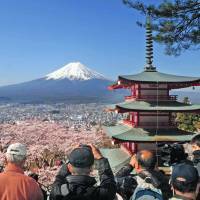 Hotels in Osaka had 85.2 percent occupancy, Tokyo had 82.3 percent, Kyoto 71.4 percent, Aichi 70.9 percent and Chiba 70.7 percent.